Kaleb Money, a Career and Technical Education teacher at Provo High School, has always loved welding. After discovering this passion and skill as a student himself, Money has worked hard to help others find their talent in welding as well. 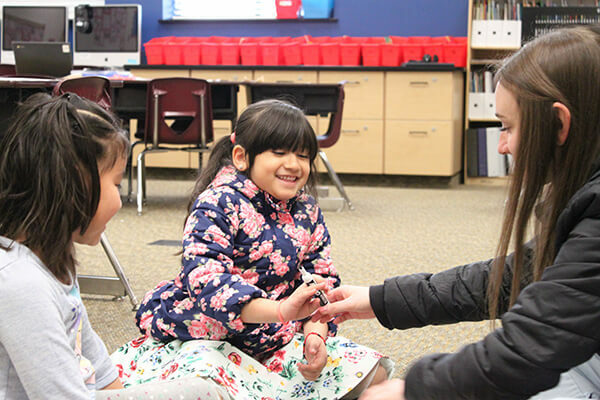 In the six years spent at Provo High School, Money has enjoyed working with his students and teaching them the importance of learning this useful skill. Money wants his students to realize that earning a college degree, although important to many, is not the only way to reap success. By honing in on their welding abilities, students can look toward the future knowing there is a great demand for workers in technical jobs. His students can still be successful in life by refining their skills in welding and using this talent to help others. 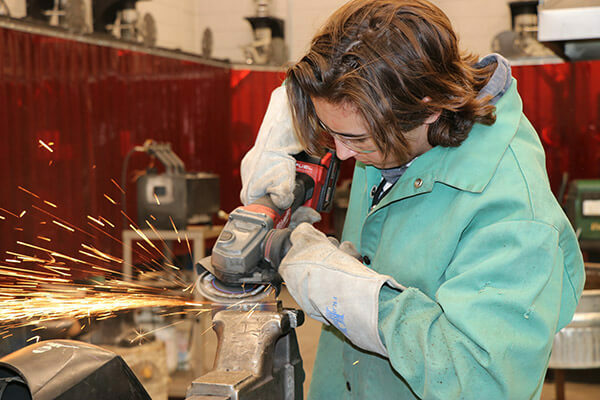 At Provo High School, Money teaches a variety of courses to help train his students in the ways of welding. 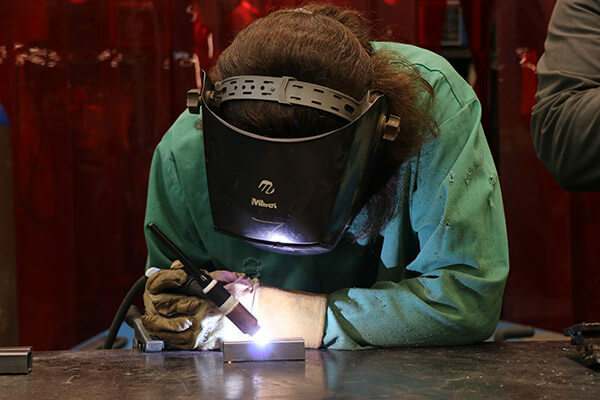 From entry, to intermediate and then advanced level classes, students in welding are learning more than how to join two pieces of metal together. Money claims that in his classes, students learn everything they need to interview and obtain a well-paying job in this field of work. Currently, his students are working on a number of exciting projects in the shop. 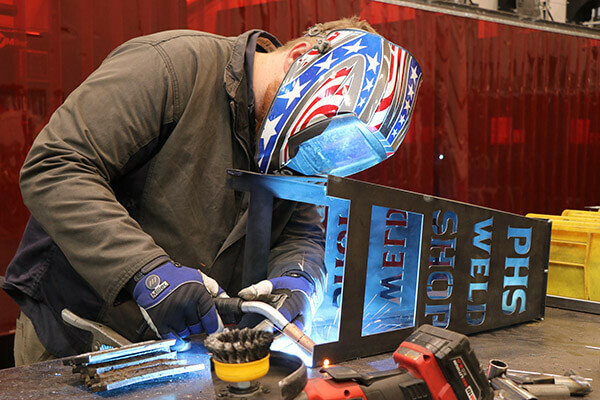 Many students are welding furniture pieces such as coffee tables, nightstands, benches and stools while others try their hand at motorized projects like trikes, Go Karts and mini bikes. However, this is just the start. The list of projects goes on as the students become more creative and develop more skills useful for this line of work such as plasma cutting, CAD design, milling and torch cutting. 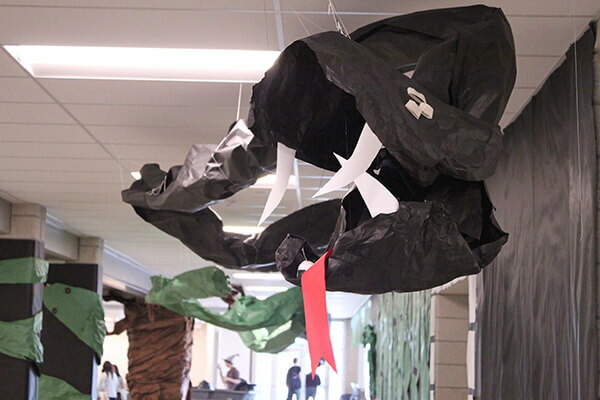 Money says they cover almost every aspect of metal working in his classes. Over the school year, Money has enjoyed watching his students improve and become more comfortable in the shop. He especially appreciates when the girls in his classes realize that welding isn’t just a “guy” thing and they too can succeed and even surpass the boys. 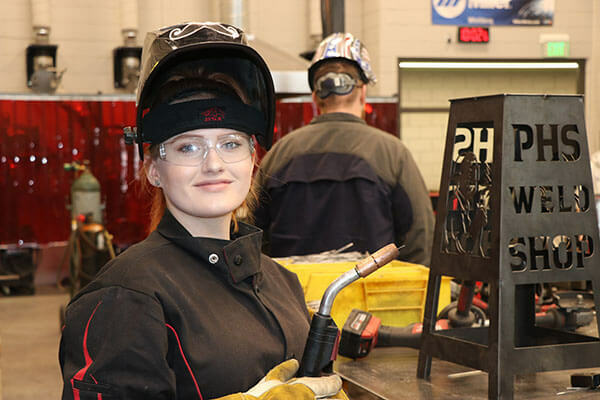 Emily Orme, a student in Money’s advanced welding course finds it empowering as one of only two girls in the shop. 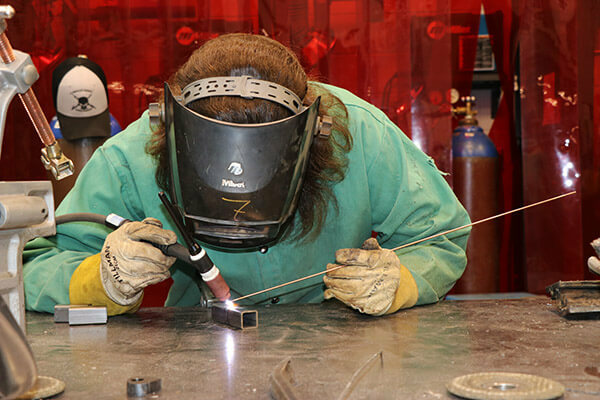 She loves getting to work with her hands and suggests that everyone should give welding a shot. 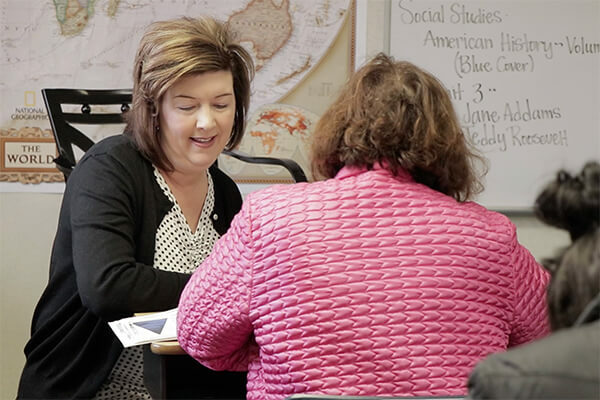 Money believes every high school student should take as many CTE courses as they can throughout their educational career. Doing so will help them apply what they have learned in other courses such as Chemistry and Math. We are so glad to have educators like Kaleb Money and appreciate all he does to prepare our students for the future. To see more of what goes on in the welding shop at Provo High School, check them out on Instagram: @provohighschoolwelding or give them a follow on Facebook: Provo High School Welding.